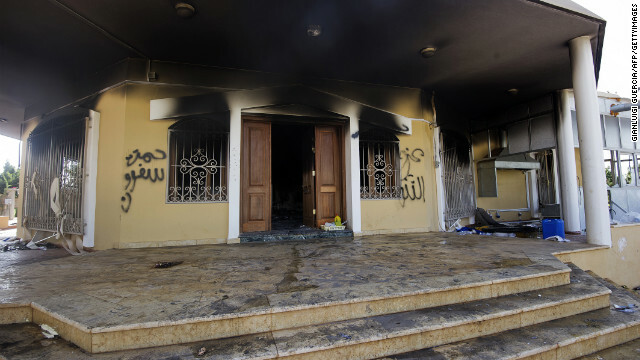 The deadly attack on the U.S. diplomatic compound in Benghazi, Libya, was "likely preventable" based on known security shortfalls and prior warnings that the security situation there was deteriorating, the majority of the Senate Intelligence Committee concluded in a report released on Wednesday. Separately, the findings also noted what the FBI had told the panel - that 15 people cooperating with its investigation had been killed in Benghazi, undercutting the investigation. It was not clear if the killings were related to the probe. Moreover, it said that people linked with various al Qaeda-related groups in North Africa and elsewhere participated in the September 11, 2012, attack, but investigators haven't been able to determine whether any one group was in command. Of course it was preventable they knew what was going on the entire time they got no help . So sad ! The U.S. has a problem/'s with Freedom and Liberty...how does this problem manifest itself else where...Its called the Russian Olyimpics...too-bad there is (again) nothing anyone can do too stop the terrorists from hatching like roaches in a hen house. The Press needs to get real quit reporting their opinions and report the news. Not propaganda from the White House. FYI Obama new about the attacks 15 minutes after it happend so did Hilary so did they work so hard to blame this on a video. Somrthing sinks of politics. meanwhile we have four dead Americans who drug through the streets like animals. The familys of these men cant even get a phone call the White House wont return the calls very sad. It was bad enough that both our military and state department were totally unprepared for what happened. But when the attack did occur the ABM administration took no action. The President was told right away that it was a terrorist attack. At the debate the President said that he told the American people it was a terrorist attack the day after the attack took place yet for two weeks after the event took place he and his administration told the American people otherwise. The President must know who originated the idea and who approved the idea of misinforming the American people on this issue but despite his promises of transparency he is not telling us anything. One wonders what additional misinformation his administration is providing the American people. CNN didn't let this stay on their page for long. The truth about the liar Obama is an indictment on his integrity.,....if he ever had any! There were warnings and threats, plus a lot of physical threats by large mobs to many embassies (permanent embassies, not temporary missions) during that time. Of course it was "likely preventable". When dealing with hindsight, knowing the exact location and scope of an attack, and 16 months of scrutiny by a committee with a lot of hostile "hawks" from the opposing party. all attacks are "likely preventable". If Custer had known 4,000 Indians would attack on that day, I suspect he would have had a much larger force. If commanders had investigated the threat to Pearl Harbor...if Reagan had insisted on more security for the Marines in Lebanon...if George Bush and intelligence had investigated pilot training schools before 9/11..if! In wars, you lose people in attacks. Sometimes it's because of faulty intelligence, mistakes in allocation of forces, or sometimes it's because an enemy determines a weak point and attacks. A "scandal" indicates deliberate wrongdoing by someone. Nothing of the sort exists in this incident, regardless of opinions about who made decisions when. "likely preventable" is hardly a ringing endorsement for the right-wing "scandal" yellers. It was the GOP that blocked funding bills for more embassy security, then complained because there is not enough.. It was video remember all the networks jumped on board. They even put the man in jail for it. What ever happend to that guy. Dive deeper, apparently a patriot and commander was told to stand down , said F it and tried to go in and save them anyways and got arrested. I hate political scandals, but in this case there is something to this we just don't know what , yet. Let both sides be reminded you, you are democraps (points) you , you are republican'ts (points the opposite way) Neither republican'ts nor democraps are to blame. See you are both different sides of the same coin. Together you make up 'government' and that my friends is where the buck stops. BOTH of you are guilty of what ever happened here because you don't have government with out both of your ridiculous excuses for parties. This isn't Obamas, or Clintons bad, this is GOVERNMENTS bad. The issue is the fact that BO and hillary clearly knew this was a coordinated terrorist attack when it happened and willfully lied to the American people saying it was about a mob/video gone bad. This was a complete lie. Why isn't a "top" topic? ?